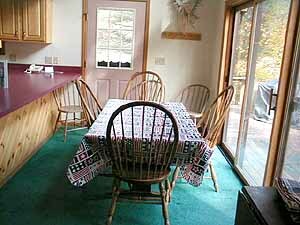 This is one of the two finest vacation rental homes in the Gore Mountain - Lake George region. 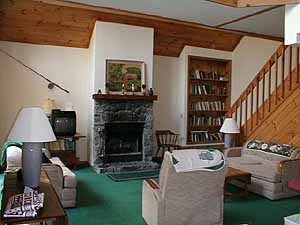 Located just five minutes from Gore Mountain, Tree Tops is secluded, yet accessible. This home is not for everyone. Partiers beware, spilled wine on this carpet could cost you a month's income. 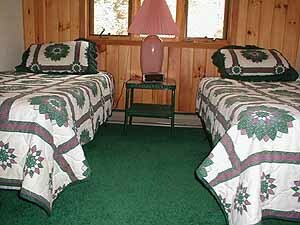 There are 2 king sized beds, a set of twins in two other bedrooms, and a set of bunks in the final bedroom. 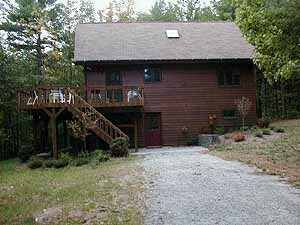 All three levels have bathrooms. 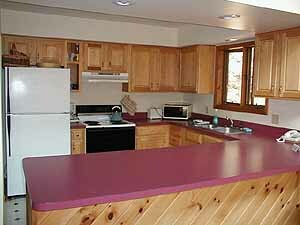 There is a full sized washer and dryer to freshen your linens during the stay. 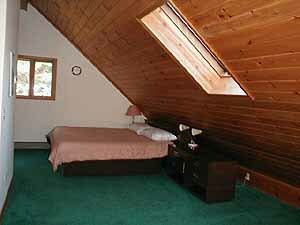 Tree Tops is a great location to kick off from to enjoy the Adirondacks. 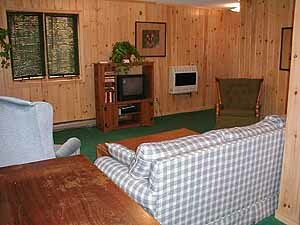 Located in a pine forest with lots of knotty pine paneling in the home, slay riding and snow shoeing can be done from this home.